Marvel Preview: Mr. and Mrs. X #5 – AiPT! 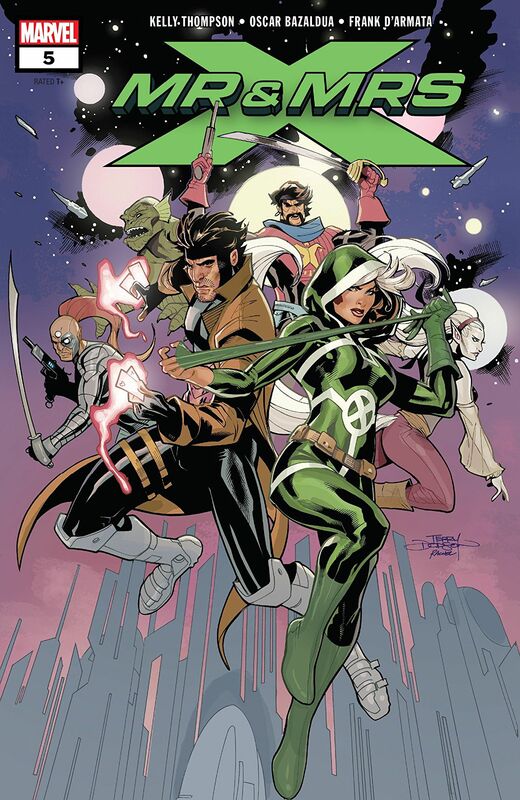 Gambit and Rogue’s honeymoon/mission has been crashed by all sorts…and now the Starjammers! Gambit and Rogue’s honeymoon/mission has been crashed by the likes of Deadpool, the Imperial Guard, the Technet, Deathbird, Shi’ar rebels…and now the Starjammers! Best honeymoon ever?